The Daves would like to once again welcome guest blogger Brandon Engel to this site, expressing his opinions on the best monster movies of the 1980’s! After being traumatized by an encounter with the killer, the reporter (Dee Wallace in one of her many horror film roles) and husband are sent to a secluded resort to relax and recover from the trauma. 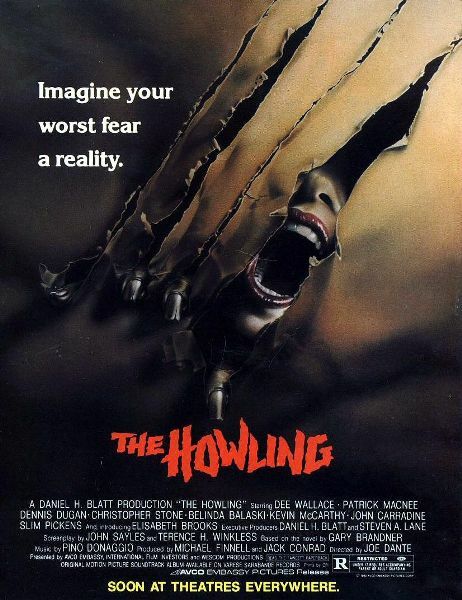 Here they encounter some strange people who turn out to be werewolves, including one werewolf who has taken the form of Eddie, the presumed dead serial killer. Loosely based on the novel of the same name by Gary Brandner, the movie is noted for its intentionally humorous undertones and use of puppetry, stop-motion animation and cartoon animation (when the werewolves are supposedly getting it on at the resort) to make the creatures appear more lifelike. In this case, the title pretty much says it all, a staple of similar low-budget films of the era that relied on a descriptive title with some variation of “deadly or killer” to attract curious moviegoers. The movie itself is high on the gore factor, with face-eating aliens who come to Earth via a meteorite and set up camp in the basement of a nearby home, which is where the spawning starts before spreading throughout the area, much to the surprise of unsuspecting neighbors, who eventually become aware of the menace and, along with a teen obsessed with horror movies, attempt to kill the out-of-this-world invaders and save the day. New York City’s sewers have produced Cannibalistic Humanoid Underground Dwellers, a fancy name for bums who’ve been affected by toxic waste in a film declared “enjoyable” by the New York Times. This campy ’80s monster movie is delightfully loaded with horror movie clichés and is currently being aired this month on the El Rey network (check this resource for listings). The toxic creatures, apparently having grown tired of living underground, start pulling unsuspecting strangers down into their world through the city’s many manholes. It turns that the “creatures” were once homeless people who came into contact with toxic materials dumped into the city’s abandoned subway tunnels, leading to a showdown with corrupt government officials that further complicates efforts to stop the creatures from coming above ground to feast on city dwellers. Look for early appearances by Home Alone‘s Daniel Stern as the reverend and Roseanne‘s John Goodman as one of the cops. 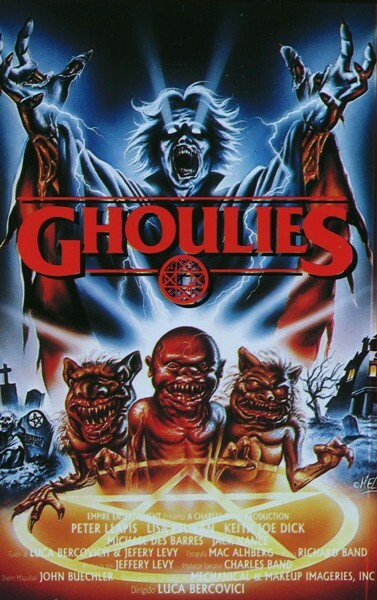 Not nearly as cute or popular as Gremlins, Ghoulies have a direct connection to the forces of evil unleashed by the son of a sorcerer who inherits his father’s house. In an effort to harness his father’s supernatural powers, he attempts to resurrect demonic forces. In the process, he also awakes some nasty little creatures with a ferocious appetite for humans. While the satanic/black magic subplot is somewhat fascinating, it’s really the antics of the Ghoulies that make this movie a true ’80s monster movie classic, as does an early appearance by Mariska Hargitay and the scene involving one of the creatures popping out of a toilet, which was actually a marketing promo that was later inserted into the movie when it became clear that people actually expected to see that particular scene in the actual movie. A man’s son is accidentally killed by a group of teens riding dirt bikes. He goes to see a supposed witch, seeking revenge against those who killed his son. 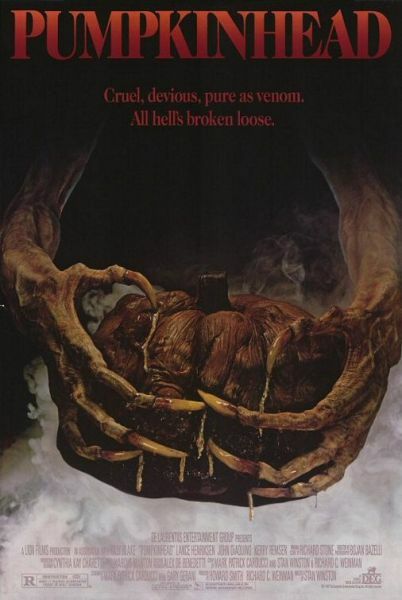 Ignoring a warning that revenge comes with a price (there would be no movie if he actually heeded the warning), he digs up the disfigured body of the creature he saw as a boy, effectively bringing Pumpkinhead back to life. Not satisfied with taking the life of the guilty boy, the creature goes on a killing spree and forms a supernatural bond with the man who brought him back to life, with the two apparently connected, meaning that it won’t be possible to stop it without making decisions with serious consequences. Thanks to the legendary Stan Winston, the man behind the special effects in such films as Edward Scissorhands and Avatar, Pumpkinhead doesn’t come off as campy as other horror flicks of the decade, although its limited budget is still obvious. 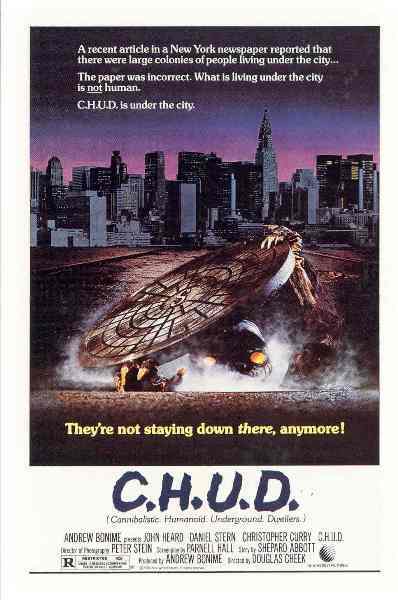 This entry was posted in Big 80's Horror!, Monsters, Movie Reviews and tagged C.H.U.D., CHUD, GHOULIES, Pumpkinhead, The Deadly Spawn, The Howling. Bookmark the permalink. ← “Digging up the Marrow” & Unearthing the Fun!